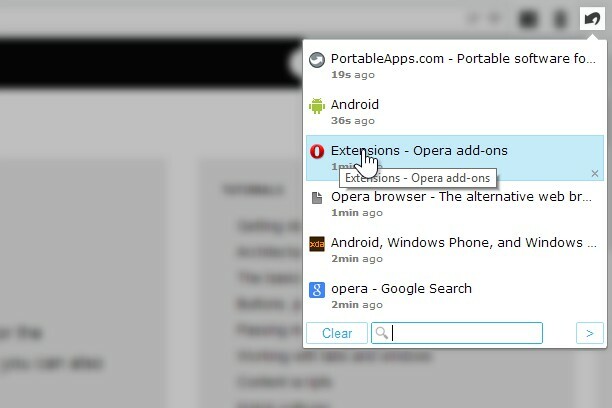 It works abnormally in Opera 32. Sometimes this add-on ceases function. Maybe you can try uninstalling SimpleUndoClose then reinstall. Or maybe try having only SimpleUndoClose enabled and all the rest disabled to see if other extensions can interfere or not. В опере 29.0.1795.60 расширение постоянно отключается, приходится его перезагружать. How to turn off alt+z and use only ctrl+z ? You can change the hotkey combination in the options page. I can't read Russian but from Google Translate I understand its about list order. 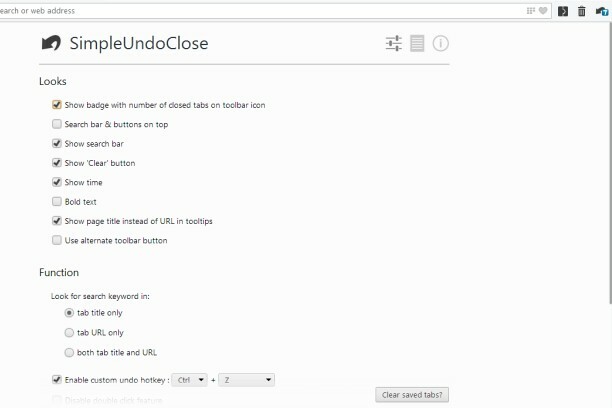 The latest closed tab is always at the beginning of the list as the list is sorted by time. In what case is it not convenient or useful? I can't just remove multiple items in the middle of the list, the record will be inaccurate and there will surely be complains. Correct me if I understand wrongly.